I’ve finally made it to the big time. Another wedding photographer has been using my images and passing them off as their own. Imitation is the greatest form of flattery correct? I’m jesting of course. It’s definitely NOT OK! It happens a lot in the wedding photography industry and often it goes unnoticed. We don’t have time to be scouring the internet to check if our images are being used where they shouldn’t. In this instance it was the eagle-eyed observations of another wedding photographer which alerted me to the issue. I contacted the photographer who was using the picture on his Instagram and Facebook page to advertise his services and asked him to remove it. After a bit of huffing and puffing and inaccurate claims that he’d legitimately bought the image from somewhere, he did take them down. But having a look through his website in more detail I realised that the bulk of the images he showed were stock images. Not his own work. So let’s get this straight. This person is charging a considerable whack of money to shoot weddings but is advertising his services using images he’s (best case scenario) purchased or (worst case scenario) stolen from other photographers. Most couples planning their wedding will not have spent much time on photography websites before. So it’s not surprising that they would see this selection of lovely images, from a variety of different weddings and assume that this photographer knew his stuff and they were in safe hands. They’d hand over their money and invite this person to join them on their wedding day. They’d sit and excitedly wait for their images to arrive, all the time expecting them to be of the same standard of quality that they’d seen on the photographer’s website. I’m sure you can see where this is going. In all likelihood that photographer can not deliver images of a similar standard to those he’s showing on his website. His clients would not receive the standard of images they were expecting. They’d be disappointment, unhappy clients, complaints and perhaps even demands of refunds and legal proceedings. I’m a forgiving person. So I’m going to give my photo stealer the benefit of the doubt. He said he’s purchased the images legitimately and therefore is legally allowed to use them on his website (not mine kiddo!). But after doing a little digging around I was amazed to find how many so called wedding photographers are using stock images to advertise their services. Legal it may well be but moral – absolutely not! And straight out pinching other photographer’s work is a huge huge no no. Choosing your photographer is a massive choice – it’s probably one of your largest budget items of the wedding day. So how do you make sure you don’t get scammed? This is the first indicator that something is amiss. Look through a potential photographer’s website. Are the images consistent? Are they composed in a similar way, is the editing style consistent throughout? Of course a photographer’s style will evolve naturally over time, so if you look at a blog post from 3 years ago you’ll see some difference in style from more recent work. But overall there should be a consistency in terms of style of images and editing throughout the site. If there’s a huge variety in the quality and style of work throughout this site this should be ringing alarm bells. When looking for their wedding photographer a lot of people will land on the gallery or portfolio, scan through the 30 or so images showing and then get it touch with their first choice. But it’s always worth checking out the photographer’s blog to see more of their work. If you’ve spotted some amazing images on the photographer’s gallery or home page but all that’s showing on the blog are a couple of old blogs showing, shall we say, less amazing work, then again – alarm bells should be ringing. I’m not saying that every photographer who doesn’t blog regularly is a scammer – not at all! Sometimes the demands of the wedding season means that blogging is a task that gets pushed to one side. But it all comes back to consistency. What’s being shown on the gallery and homepage should be backed up throughout the rest of the site. Wedding scammers are slightly less likely to use stolen images on social media than they are on their own website – because the chances of them being spotted are much higher. Although you may not have found your wedding photographer on social media, it’s still a good idea to check out their feeds. Again, we are differ in how often we post to Facebook or Instagram or Twitter. But most wedding photographers will use social media platforms on a fairly regular basis. If someone is posting multiple pictures from a wedding, showing a consistent style with their other work, tagging other wedding venues and generally posting on a fairly regular basis – they are much less likely to be a wedding scammer. If you’re seeing the same images on the social media and website then all the better too. Does the photographer have a good number of reviews of their work? You might find these on their website (but they could have wrote those themselves of course) but the likes of Google and Facebook are great places to look too. If there’s a good amount of reviews from happy clients you can probably rest assured that you’re not dealing with a scammer. Once you’ve found a photographer you like there’s nothing wrong with asking questions. Spotted an image on their website you really love – ask to see the full blog. Or if you’re feeling really twitchy – ask to see the full gallery. 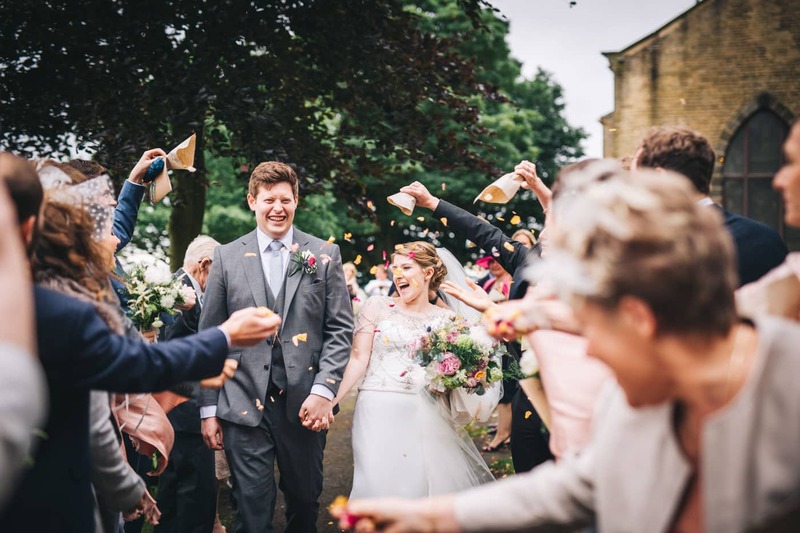 Ask to meet in person, ask to see albums, ask which venues they’ve shot at – ask any questions you want to ask and a genuine, professional, full time wedding photographer will be happy to answer those questions for you. If you feel at all uncomfortable or suspicious then walk away. There’s lots more wedding photographers out there! 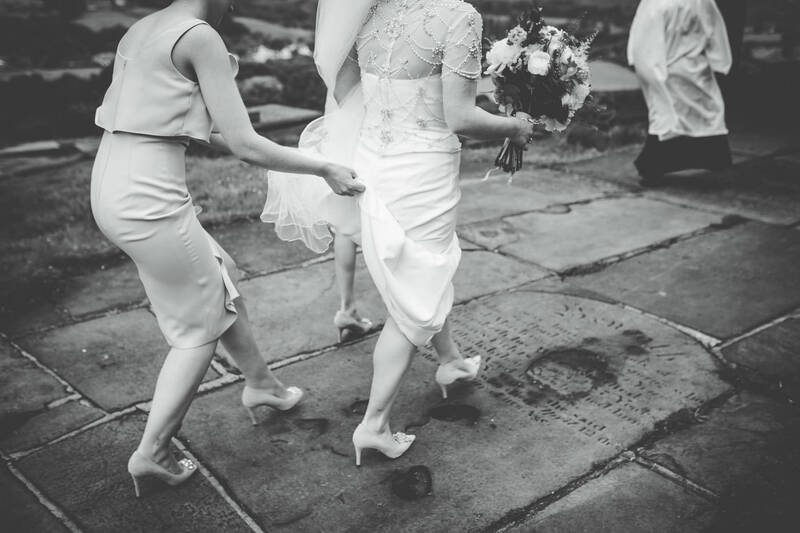 As photographers we often roll our eyes when we read wedding magazines telling you a list of 100 questions you should ask your photographer (because some of them are quite frankly ridiculous) but we know that some clients require a little more hand holding that others. So if you come to us with a list of questions, a legitimate wedding photographer will take the time to go through them and reassure you. Thank you for reading my blog! I love the wedding industry and I hate to see people giving it a bad name by taking advantage of engaged couples. For lots of wedding planning hints and tips please visit the wedding planning blog.